Fresh off the news of Duchess Meghan's pregnancy, her and Prince Harry are set for a two-week tour Down Under. The Duke and Duchess of Sussex’s second official foreign tour as husband and wife kicks off Tuesday. 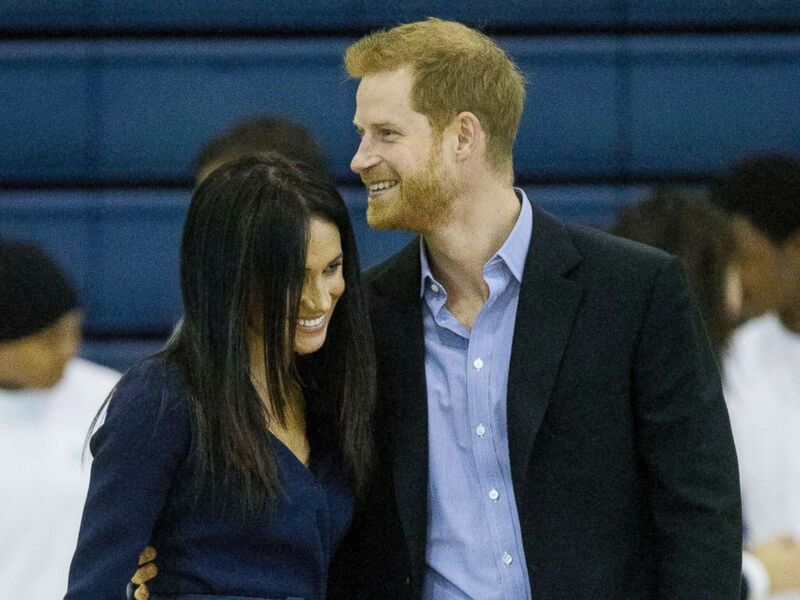 Harry, 34, and Meghan, 37, will spend the next 16 days on a nonstop tour of Australia, New Zealand, Fiji and Tonga that will take them everywhere from meeting koalas and joeys to showcasing women’s organizations to cheering on Invictus Games competitors. They'll also now be answering a lot of questions about the couple's first child, announced by Kensington Palace Monday morning. Meghan is about 12 weeks pregnant and the baby is due in the spring of 2019, according to the palace. 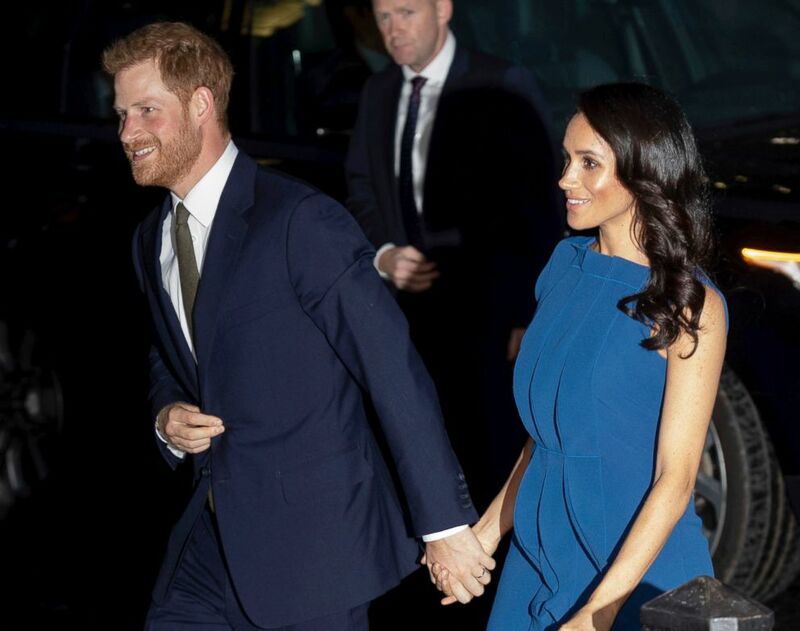 The couple will attend a jaw-dropping more than 70 engagements over the course of their four-nation tour. Here are all the details you need to know to keep up with Meghan and Harry on their Down Under adventure. Why are they making the visit? The Duke and Duchess of Sussex are touring Australia, New Zealand, Fiji and Tonga on behalf of Queen Elizabeth and the Foreign and Commonwealth Office, Kensington Palace said. "Their Royal Highnesses have been invited to visit the commonwealth realms of Australia and New Zealand by the countries' respective governments, and Fiji and Tonga at the request of the Foreign and Commonwealth Office. This will be the duke and duchess's first joint visit to these four countries," Kensington Palace shared in a statement ahead of the tour. 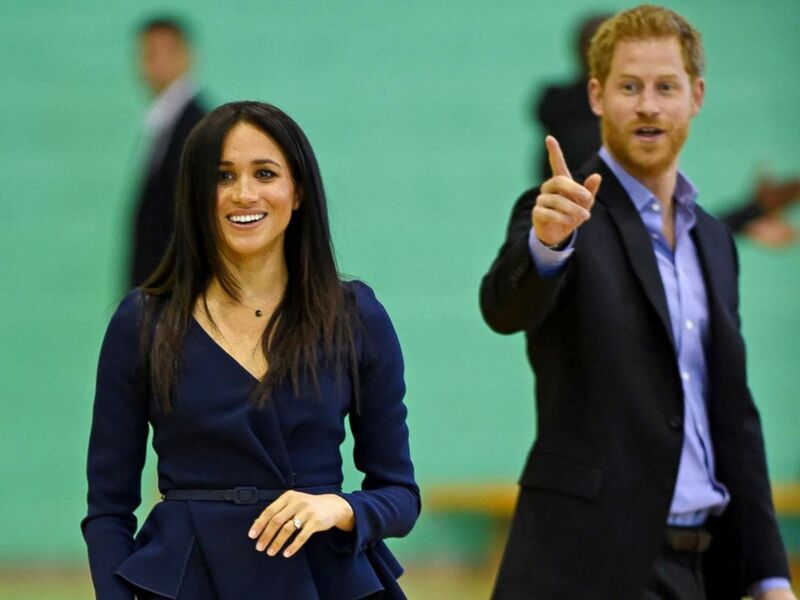 Meghan Markle, Duchess of Sussex joins Prince Harry during Coach Core apprentices at Loughborough University in Loughborough, Britain, Sept. 24, 2018. Prince Harry was recently named the Commonwealth Youth Ambassador by the queen. The couple will stay at Admiralty house on the first leg of their tour in Australia. In Wellington, New Zealand, they will stay at Government House and in Tonga the couple will be guests at a royal villa belonging to the King and Queen of Tonga. The newlyweds will travel via charter plane to Fiji and Tonga. In New Zealand, they will use a New Zealand Air Force plane for the majority of the engagements. Meghan and Harry will spend a considerable time on the tour appealing to issues important to young people, who represent one-third of the population of the 53 Commonwealth member nations. While in Sydney, they'll engage with students on issues like social justice and youth empowerment and take part in a youth advocate program that supports inclusion and cohesion. Prince Harry The Duke of Sussex and Meghan Markle, The Duchess of Sussex, arrive at Central Hall Westminster for the 100 Days To Peace, Sept. 6, 2018 in London. In New South Wales, the couple will tour classrooms at a school for young Aboriginal and Torres Strait Islanders and join the students in sports drills. Later on, in Melbourne, they'll meet school students involved in sustainability programs. College students will get a chance to meet Harry and Meghan in Fiji when the couple visits the University of the South Pacific campus in Suva. Sydney, Australia, is 10 hours ahead of London, where Meghan and Harry live, and 15 hours ahead of New York City. The first day of Meghan and Harry's tour is guaranteed to be adorable. The couple will visit Sydney's Taronga Zoo, where they will meet two koalas and their joeys that are part of the Zoo’s breeding program. The Duke and Duchess of Sussex will take part in an iconic part of any visit to Sydney, a boat trip across the Sydney Harbour to the Sydney Opera House. Once there, they will watch a rehearsal by the Bangarra Dance Theatre, an internationally acclaimed Aboriginal and Torres Strait Islander modern dance company. Meghan Markle, Duchess of Sussex and Britain's Prince Harry take part in a sports demonstration with Coach Core apprentices at Loughborough University in Loughborough, Britain, Sept. 24, 2018. If they don't get a chance to dance there, Meghan and Harry may have another chance later in their tour. While in Fiji, the couple will attend an official welcome ceremony that includes dance performances traditional to Fijian culture. While in Sydney, the Duke and Duchess of Sussex will visit the city's famous Bondi Beach. They will meet with a local surfing community group, known as OneWave, that raises awareness for mental health and well-being, also a focus of The Royal Foundation. Meghan and Harry will join a "Fluro Friday" session, where people share their experiences of mental health issues and enjoy yoga and surfing. Soccer star David Beckham and Australian-born Princess Mary of Denmark and her husband, Prince Frederik, will be special guests as new ambassadors for the 2018 Invictus Games, which kick off Oct. 20 in Sydney. Prince Harry founded the Paralympics-style competition in 2014 for wounded, injured, sick and recovering service members. More than 500 veterans from 18 different allied nations will compete at the Invictus Games in 11 adaptive sports including wheelchair basketball, tennis rugby and swimming. The Games will be held from Oct. 20-27 and Harry and Meghan will be there to support the competitors. Meghan made her first official engagement alongside Prince Harry at the Toronto Invictus Games in 2017. While in Fiji, Meghan will participate in a solo engagement as a guest at the British High Commissioner’s Residence, without Harry, to showcase women's organizations in Fiji. She will then go to Suva Market to meet female vendors who have been empowered by "Markets for Change," a UN Women's project. Meghan, a self-described feminist, once served as a UN Women advocate. Meghan will also be giving her first speech on the tour during an engagement at the University of the South Pacific in Suva, Fiji, where she will say a few words after Prince Harry gives a speech in his capacity as Commonwealth Youth Ambassador. While in New Zealand, both Meghan and Harry will attend a reception to celebrate the 125th anniversary of women’s suffrage. In Sydney, the couple's visit to Taronga Zoo will include meeting female conservation scientists who are working on efforts to reduce illegal wildlife trafficking.